With apologies to actor/comedian Steve Martin, I was born as a small child and became a wedding & party DJ when I grew up. 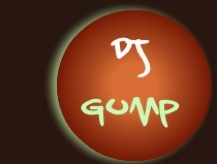 After working for a very reputable Bay Area DJ company for several years, I started my DJ business in 2008, DJ Gump Productions, (I worked nationwide as a Tom Hanks/Forrest Gump impersonator). 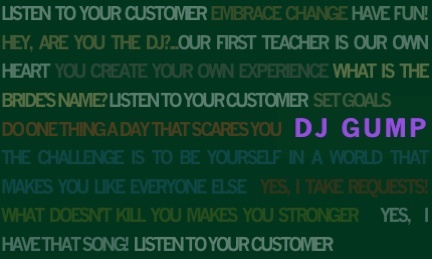 I have DJ'ed at 300 wedding, party and club venues in the last 14 years, mainly in the San Francisco Bay Area, also Sonoma and Napa counties, Santa Rosa and Sacramento areas (see complete list on "Venues" page). 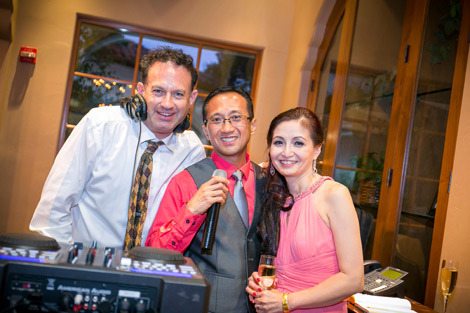 Wedding reception (and party) DJ packages include DJ services, emcee services if desired, equipment including 2 high quality QSC speakers, 2 wireless microphones, music, and 4 colored dance lights. A complimentary bottle of champagne for every bride! Other customer additions to your wedding or party include Uplights, Photo Booth, Videographer or Photographer. 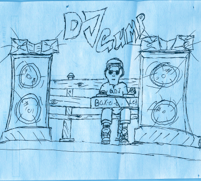 2nd DJ system for ceremony available. A 45 minute consultation in-person or by phone is free. Please call or e-mail for details and price quotes. Set-up, Break-down, Travel and Preparation are free. You only pay for Performance Time. Please take a few minutes to look at the 70+ excellent wedding and party customer reviews from years 2006-2018 attached. 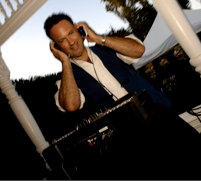 You will be the star of your wedding, the music just makes it better!